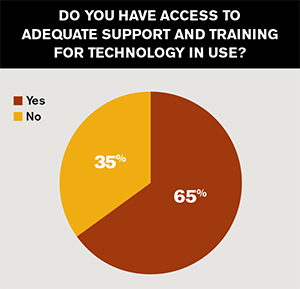 More than a third of educators in our 2016 Teaching with Technology survey said they lack access to adequate support and training for the technology in use at their institutions. About two-thirds of educators (65 percent) feel sufficiently supported in their use of technology on campus. 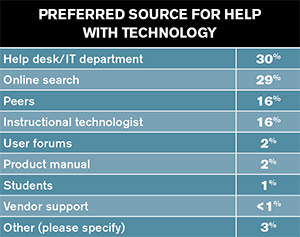 That leaves a third who aren't getting the help they need, according to Campus Technology's 2016 Teaching with Technology survey. The survey polled faculty members across the country about their use of technology for teaching and learning, their wish lists and gripes, their view of what the future holds and more. It seems, though, that most faculty don't need all that much help. 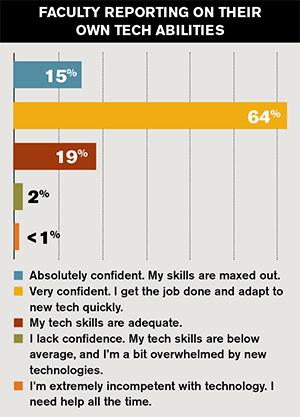 A large majority of educators in our survey are fairly confident about their abilities to use technology: A solid 79 percent said their tech skills are "maxed out" or that they know enough to "get the job done" and adapt to new tech "quickly." On the other end, a tiny number of respondents (less than 3 percent) acknowledged that they have tech skills that are "below average" or even nonexistent. However, faculty aren't so confident of the technical abilities of their students. More than half (52 percent) said students are only average in this area. Fewer — 39 percent — said their students are either excellent or above average. As a natural sciences faculty member at a community college in Nebraska asserted, "While students know games and Facebook pretty well, they seem to be almost totally clueless about school- or office-use software that is about work rather than entertainment." 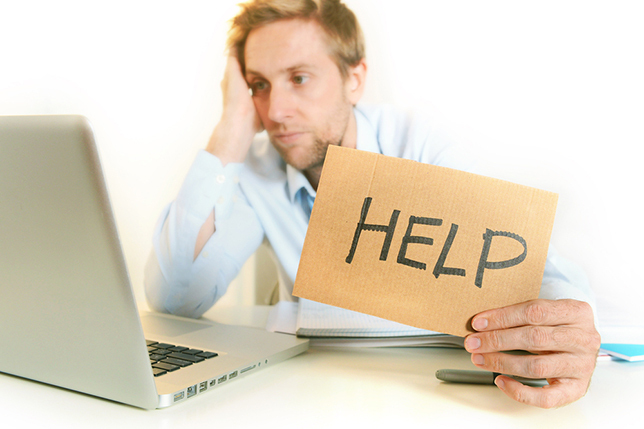 When help is needed, more instructors (30 percent) turn to the help desk or the IT department first, before any other source of assistance. That's followed by online searching (29 percent) and peers and instructional technologists (16 percent each). All other options received single-digit responses. One category that isn't fully represented in any of these choices is self-service training. "I appreciate that my institution has made Lynda.com free to all faculty," emphasized a liberal arts instructor in Texas. This video streaming course service "helps when trying to learn new tech skills, which we can then share with our students." Another area left uncovered in the survey questions: training in the use of pedagogy to support instruction with technology. "I fully believe that more instructors need professional development pertaining to the effective implementation of technology," insisted an education instructor at a four-year not-for-profit in Kentucky. The two models or frameworks she specifically cited were TPACK and SAMR, both more commonly known in the K-12 world. One respondent, a faculty member in the library of an Indiana university, advised the integration of instructional designers into academic departments. She also recommended that we all stop viewing online classes as something "new and innovative." By now, she said, those should just be "part of the regular teaching landscape."